A Specific Plan for a General Condition? Acupuncture and Generalized Anxiety Disorder represents an excellent example in the differences between Eastern and Western Medicine. 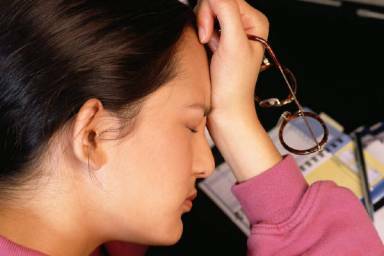 Generalized Anxiety Disorder is perhaps the most common form of Anxiety Disorder. It most often presents as constant worrying and always anticipating the worst outcome. The accompanying physical symptoms would include tension, headaches, a stiff neck, muscle tremors or nausea. Of course the general western medical treatment is to prescribe treatment in the form of drugs and counseling, which may of course be appropriate. The Traditional Chinese medical view however is much different. There is nothing “general” in any patient in the Chinese Medical system. Acupuncture and Generalized Anxiety Disorder would work to uncover a unique pattern of disharmony that results in the symptoms listed above. Unlike Western Medicine the symptoms don’t define the condition, they simply point in the direction of an underlying problem. It’s the acupuncturist’s job to discover what that problem may be. In Chinese Medicine, our health is based on a delicate balance of energy between our organs. It’s important to understand that when an acupuncturist speaks about an organ they are not referring to the physical organs of Western Medicine, but a particular energy associated with similar functions and properties. For instance the Heart in Chinese Medicine is associated with blood, as it is in western medicine, however it is also associated with our mental health and particular emotions such as joy. So how does this relate to Acupuncture and Generalized Anxiety Disorder? Simply put there can be a number of organ disharmonies that can lead to Generalized Anxiety Disorder. I give several examples of this in my articles Acupuncture for Anxiety and Anxiety Acupuncture and Depression Relief.The most common of these patterns however all involve the Heart. The Heart in Chinese Medicine, as do all organs in Chinese Medicine, contains both physical and mental emotional attributes. The physical attributes of the Heart would be involved in the circulation of blood. Its mental emotional function would be involved in feelings of joy and happiness. If the Heart is weak, then blood doesn’t flow freely, which can lead to feelings of unsettledness and anxiety. Furthermore the role of Blood in the Chinese Medical system has many functions, nourishing both the body and the mind. And it is the mind in this instance which is of particular interest. According to ancient Chinese texts, the blood is the residence of the mind. Without strong blood our mind has no refugee, nowhere to seek rest when we sleep. As such our mind flitters and becomes lost in obsessive and unhealthy thought that manifests as anxiety. But what about the physical symptoms? These too are explained by weakness of Heart Yin Deficiency. As blood weakens it can no longer properly nourish the muscles and sinews of the body leading to tension, headaches, a stiff neck, and muscle tremors. One could also look at a Pattern involving the Liver – as the Liver is responsible for manufacturing Blood in the Chinese Medical System. If the Liver is stagnant or weak it may not produce enough blood and we see the same symptoms. As you can see Acupuncture and Generalized Anxiety Disorder isn’t about diagnosing a general condition. Its focus is on determining and discovering a complex and individual pattern of disharmony and treating that specific problem, thus removing the symptoms. The unique difference in Traditional Chinese Medicine and Acupuncture and Generalized Anxiety Disorder is in understanding these individual patterns of disharmony and discerning which pattern is strongest in the individual presenting. Rather than just prescribing a blanket treatment of drugs in order to suppress the symptoms Acupuncture attempts to treat the underlying cause which gives rise to the Anxiety itself. If you have any questions or concerns regarding Acupuncture and Generalized Anxiety Disorder or wish to start a course of treatment then please feel free to contact me or make an appointment where we can discus any specific concerns or questions you may have. You have been Reading about Acupuncture and Generalized Anxiety Disorder. Read about Acupuncture for Anxiety Here.